One of the things that has always stood out to me about the O.J. Simpson trial was just how much counsel Simpson had. Looking through photos of the trial, there are always three or four lawyers flanking Simpson, depending on the time, day, and part of the trial they were on. 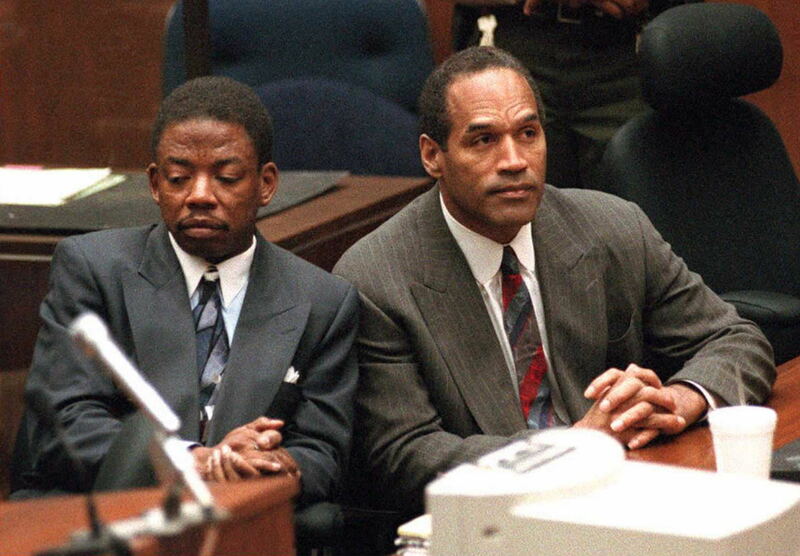 Sure, we know Johnnie Cochran, F. Lee Bailey, and Robert Kardashian were part of the "Dream Team" that defended Simpson when he was acquitted of the murders of Nicole Brown Simpson and Ronald Goldman, but what about the others? Who is Carl Douglas, and what is he doing today? Update: A representative for Douglas has shared the following statement on his current career. "Mr. Douglas manages his own robust law practice in Beverly Hills - and still has some high profile, news-worthy cases. He travels the country doing speaking engagements; is often invited to offer legal perspectives to the media; and is preparing to write a memoir about the extraordinary events that have occurred in his life including his recovery from emergency brain surgery in 2013, and of course, the trial of the century." Earlier: According to his LinkedIn page, Douglas began his career as an attorney in 1980 for the Federal Communications Commission before moving onto a role as a public defender for federal crimes. He moved to fellow Simpson defense attorney Johnnie Cochran’s practice in 1986. As reported by CBS News, when news of Brown Simpson and Goldman’s murders broke, Douglas and Cochran were working together on Michael Jackson's trial, where they first formed their team. When the Simpson trial started, Simpson appointed Cochran as his lead attorney, so while Douglas was another attorney on the team, he was not in charge of Simpson’s defense. After the Simpson trial, Douglas went back to doing what he usually did — practicing law. The New York Times reported that in 1997 — nearly two years after Simpson was found not guilty — Douglas was “issued a public reproval” by the California state bar, which is "one of the mildest forms of discipline." He was reproved because investigators found determined that Douglas’ employees had forged his signature on two subpoenas during the Simpson trial. According to the New York Times, Douglas' lawyer said that though he "accepted the disciplinary action," he "faulted the state bar for its handling of the case." His new caseload doesn’t stop Douglas from commenting on the Simpson trial, though. When ABC News asked him about O.J. : Made in America, he spoke of race relations, Marcia Clark, and his old boss Johnnie Cochran. “I think Johnnie has gotten an unfair rap in the years after the verdict and since his death in 2005, there has really been no one who can speak for him," Douglas said. "I made a solemn vow to his widow that I would do everything in my power to uplift his legacy and talking about the historical context of who Johnnie was in Los Angeles was a very important piece of the story that I needed to tell." And what of recent reports that a large knife was found on Simpson’s former Brentwood estate? "It's amazing how the world cannot move on from this case!" Douglas said. "And it, and the media, is apparently still fascinated by everything O.J. Simpson." Fascinated indeed.